It seems increasingly likely that Manchester United will attempt to sign a new right back in the upcoming transfer window. This is not a knock against Antonio Valencia, who has done so well in transitioning into the fullback position. The Ecuadorian is getting old, however, and will be turning 33 in August. With Darmian set to be sold to some Serie A team, United will need to look to bring a summer signing for provide cover in the position. Now, it seems Manchester are already drawing up a shortlist in preparation of the upcoming window. Recent reports from the London Evening Standard indicate that United have been keeping tabs on Arsenal’s Hector Bellerin, with the idea of purchasing the player in the summer. Although he wouldn’t be the worst signing, Manchester United can do much better than Bellerin. There was a time when Bellerin was seen as the most promising right back in the world. Starting his youth career at Barcelona, the Spaniard made the move to Arsenal in an attempt to get more game time. The decision paid off, as Bellerin quickly grew into a quality player. His raw speed allowed him to get up and down the pitch with ease, and he developed into a vital attacking piece for Arsenal. Bellerin was awarded with a spot in the PFA Team of the Year at the end of the 2015-16 campaign, and signed a long term deal at Arsenal in an attempt to ward off interest from Barcelona. However, the past year and a half has seen the players development stagnant. Much of this has to due with the continued demise of Arsenal, who refuse to sack Wenger no matter how poor the team is playing. Bellerin has played his part in the clubs downturn, as he’s been so focused on joining the attack that he has become a liability defensive. The consistency in his game has gone, making it hard to trust the right back in crucial fixtures. Bellerin can be a world class right back when things are going well, but he begins to falter when in poor form. The prime example of this came when Arsenal faced off against Chelsea earlier in the season. The Spaniard was dynamic going forward throughout, scoring a spectacular volley late in the contest. However, the goal only made up for a previous mistake in the game, when he stupidly kicked down Hazard in the box, conceding a penalty that was converted by Chelsea. Many have also begun to question the players mentality. When Alexis Sanchez made the move to Manchester, Bellerin told the Oxford Union that the Chilean was too demanding whilst at Arsenal, and that he became too much for his fellow teammates. The fact that he is complaining about the will to win of another player is disappointing, and would make for an awkward reunion with Sanchez if the Spaniard were join United. Mourinho has blasted his players for hiding in the past, and Bellerin has proven to shy away when the going gets tough. There are also a number of other right back options United can pursue. Thomas Meunier has been linked with Manchester in the past, and would be a great fit in a Mourinho team. The Belgian is tall, and makes sure he is covered defensively before going forward on the attack. Alessandro Florenzi has shown his versatility at Roma, and is ready to make the move to a bigger club. If United want someone with potential, Elseid Hysaj has only just turned 24, and is already starting for a Napoli team that is challenging for the Serie A title. United might not even need to sign someone new, as Timothy Fosu-Mensah has done well on loan at Crystal Palace, with some fans wanting to see the young Dutchman given a chance next season. 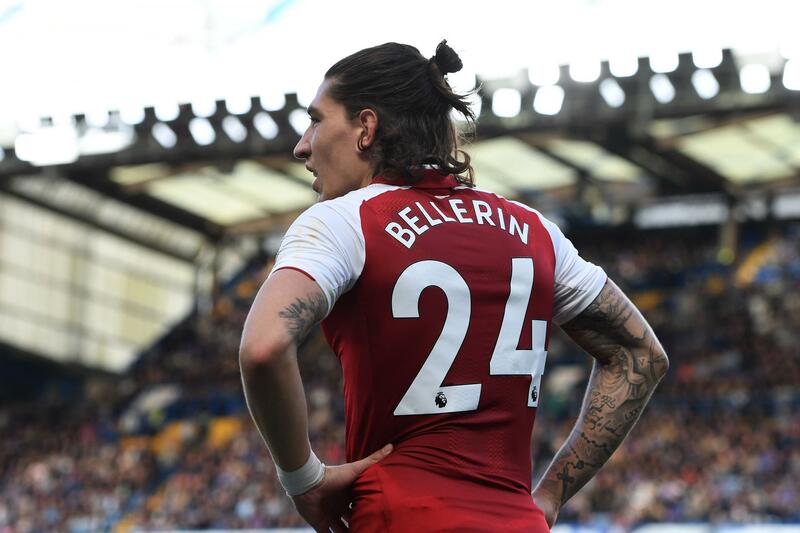 Although taking yet another player away from Arsenal would be a joy for most United fans, Manchester must look for a better option at right back, instead of simply settling for Hector Bellerin.